Dealer Inspire is officially an established Canadian business. The company, which was purchased by Cars.com in February, provides automotive tech and digital marketing solutions. Dealer Inspire is headquartered in Naperville, Ill., and has been partnering with Canadian dealers for five years. It works with roughly 300 dealers there already, along with being a certified provider in Canada for Mazda, Mercedes-Benz, Volkswagen and Volvo. But officially establishing a Canadian presence “allows for deeper relationships and more rapid growth to reach the approximately 4,300 dealers in the market,” the company said in a news release. “Growth in Canada is a natural progression for the company,” Dealer Inspire chief executive officer Joe Chura said in the release. 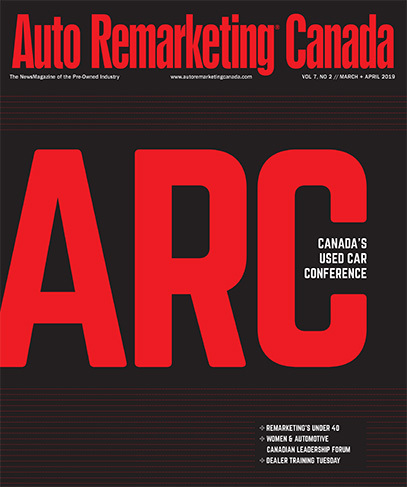 “Canada is home to many of our longest-standing dealer partners, and as a certified provider in several endorsed OEM programs, we are excited to deepen our already established relationships while offering a new alternative to help future-proof dealers' businesses in a rapidly changing industry,” he said. Canadian dealers will get to work with the DI Performancement Management team that is based in Canada and regionalized thorughout the nation. As part of the expansion, Alecia Wilson has joined Dealer Inspire as senior director of sales for Canada. Based in Edmonton, Wilson has an extensive background in Canada's auto industry and was one of the “Remarketing’s Under 40” honorees this year for Auto Remarketing Canada.